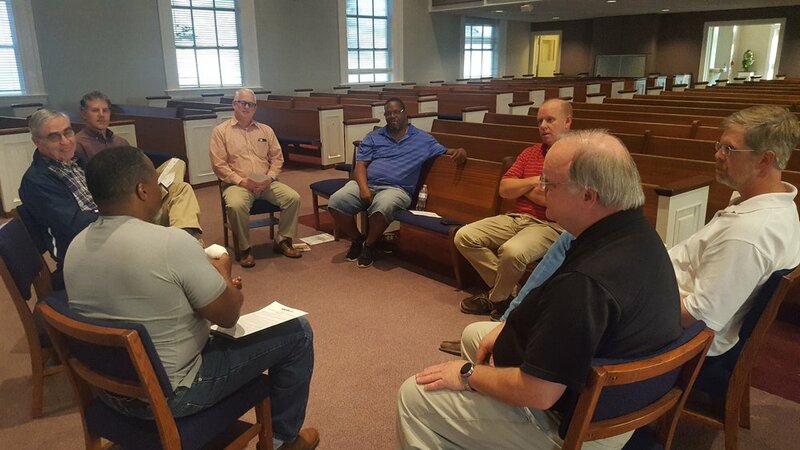 Every man who is a part of Southside Baptist Church is already a part of the “Men's Ministry”. We all play a part in ministry as church leaders, heads of households, husbands, fathers, teachers, ministers and much more. Our focus as a ministry to men at Southside is to encourage men to become “Game Changers”--to create opportunities for men to get off the bench and the pews and become bold disciples of Christ, willing to become more effective in their ministry to their families, their church and others outside of the church. Game Changers offers opportunities for fellowship with other men, relevant men's studies, service to others, and service to the church. It has been said that most of our problems with divorce, abortion, the fatherless, crime, and other cultural issues can be traced back to the failure of a man. It is our mission to nurture men not only to combat these issues in our own lives, but to disciple other men to keep them from making these same mistakes. This can begin with strong Christian Men stepping out to be leaders, Sunday school teachers, mentors and friends to other men. Men need opportunities with other men for growth, accountability, fun and fellowship. Our men’s group meets weekly on Wednesday mornings at 6:30 AM for an hour in the 218 Westmoreland house on the Southside campus. Our goal is to bring men together to help each other grow in their relationship with Jesus Christ and to encourage each other to be servant leaders in our families, church and community. Our time together each week is spent in fellowship, study and prayer. So men…bring your coffee and join us! Click below to contact Scott Bogardus for more information.